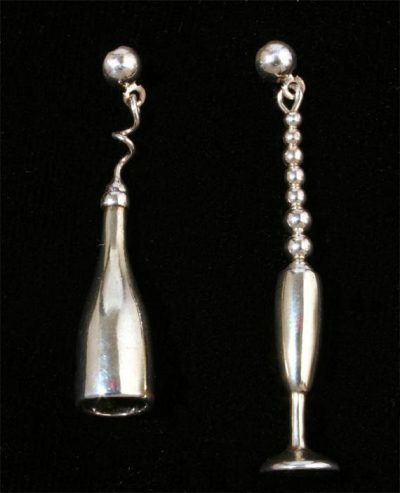 Sterling silver Champagne bottle and flute with graduated silver beads on sterling post dangles. 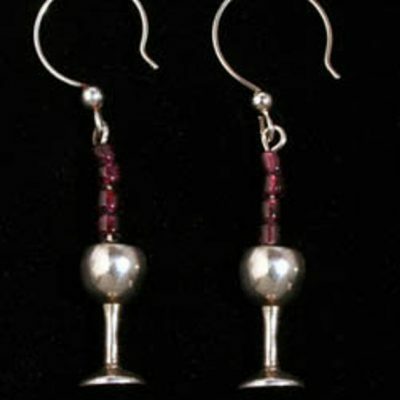 Bottle is 1-inch and has twisted wire top, glass is ½-inch plus the silver beads. 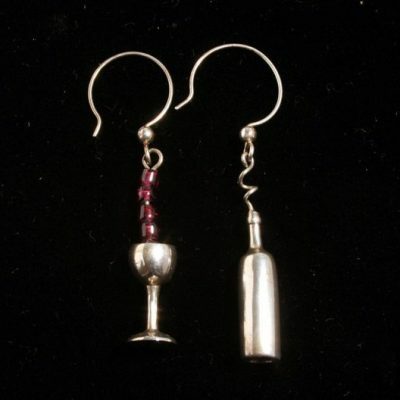 Can be ordered on wire dangles instead. Just tell me in the “message” box during purchase.